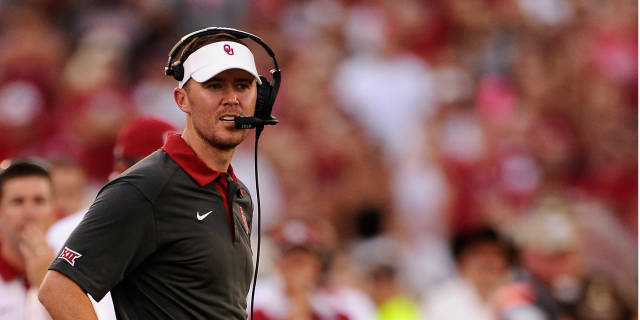 Oklahoma OC Lincoln Riley could be a target for the head coaching job at Oregon, according to a report. After Oregon fired Mark Helfrich following a 4-8 season, Football Scoop reported the Ducks had reached out to representatives of the 33-year-old coordinator. Football Scoop reported Oregon officials had checked with representatives of Western Michigan coach P.J. Fleck, as well.